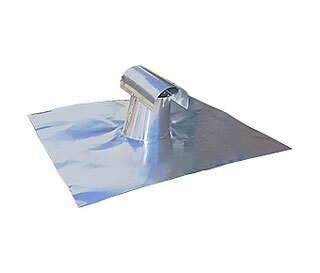 APPLICATIONS: All types of plumbing used in kitchens and bathroom exhaust. Fits up to 6" round pipe. .
CONSTRUCTION: All galvanized steel cone and top with a 24x24" dead soft aluminum. Base has a 1/2" internal lip to prevent leakage.